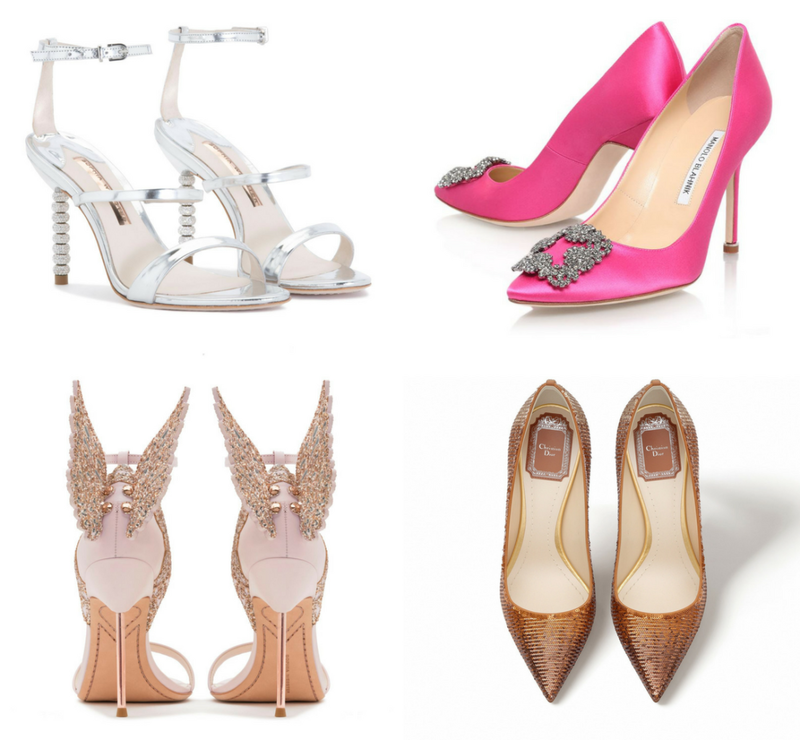 I always knew I could rely on Selfridges shoe lounge in the hunt for my wedding shoes. My mum and I decided to visit my shoe Mecca and put my Manolo craving to bed. I digress. We had many magical moments and I’d like to take a moment to relive four of them, without spelling the beans, obviously. So I had been lusting after the Evangaline’s but knew that practically they weren’t the right shoe for my dress for a number of reasons. One being that the bloody best bit about the shoe, the wings, would get caught on the material and probably result in some kind of terrific dive off the dock into the sea. And that is not the look nor the photos that I’m after. Secondly, I just cannot balance in a stiletto. It’s beyond my ankles to stay steady, even if I only need to take 20 steps maximum. It’s just not going to happen and if it did, it almost definitely would not be graceful. I also tried on the beautiful Rosalind Crystal, but my mums comment about my trotters and the fact that my toes were displayed in all their webbed and gappy glory, put me right off. That’s right people, Selfridges now have a Manolo Blahnik stand. Ahhhhhhhhh. It was like my dreams came true, until I literally knocked a pair of Blahniks right off their pedestal. Reality hit. There was no way on earth I could 1. Ever part with that much cash and 2. Wear satin closed-toe heels to a beach wedding. My toes would sweat. However, I did pick up and try on a delicious pair of hot pink Hangisi Blahniks and that moment in time was everything I wanted it to be. They looked glorious. I felt glorious. The bubble I was in was glorious. Technically, this isn’t happening yet but it will. Because Marina from Dior is my new BFF and the third person I showed my wedding dress to (only my mum and the shop assistant have seen it up until now). I can honestly say I’ve never had customer service like that before. She was attentive, asking me practical questions about the location and colours I liked (a big yes to the sparkly Gold-Tone Sequin Pumps above), before whipping out the cruise collection brochure and pointing out the stock they’d soon be receiving and what she thought might work for me. She then took my mobile number so she could Whatsapp me snaps when the stock started arriving. Honestly, if I wasn’t semi committed to marrying Al, I would have asked her. As soon as I put them on, I knew. It was love at first sight. They are magical. They are also a tad on the expensive side so I’m currently trying to track them down at a price that won’t have me breaking out in a cold sweat and keeling over. However they will be worth every single penny because they make me grin like a Cheshire cat, and for me, that’s all I could ask for. Shout out to my mum who is the best shopping partner, I will rent out her services as a personal shopper any day. Catch up on the rest of my beach wedding vibes.